Stephen Kautz, the oldest of John & Gail’s four children is a third generation California farmer. Growing up in Lodi on the family farm, he developed a strong understanding in all aspects of the agricultural industry. He started farming on his own in High School while in FFA (Future Farmers of America). He raised and competed with registered Polled Hereford cattle and also farmed cherries. Stephen attended Cal Poly, San Luis Obispo studying Animal Science before coming back to the family farm. He ran the family’s row crop operation before settling into the wine grape portion of the business. In addition to running Hay Station Ranch that includes 100 acres of vineyards and is a working cattle ranch, Stephen is President of Ironstone Winery, located in the Sierra Foothills town of Murphys. At home in the Sierra Foothills, Stephen understands how the region operates and is involved in many local organizations promoting Calaveras County. He is a past President of the Calaveras Winegrape Alliance, past Director & Board President of the Calaveras County Fair and past Director & President of the Calaveras Visitor Bureau and is still very actively involved in the promotion of these organizations. On a statewide level, Stephen is a Director of the California Association of Wine Grape Growers and past Director of the California Wine Institute. In addition to these organizations, he was President of the Lodi-Woodbridge Vintners Association for several years. Stephen graduated in 1998 from the California Agricultural Leadership Program, which involved two years of domestic and international studies with travel to Africa. Residing in the Murphys area, Stephen and his wife, Marianne raise daughter, Kaylee, who is a sixth grader and very active in swim, ballet, piano and karate. He has also helped coach the local High School, Bret Harte swim team for many years. When not at work or Kaylee’s activities, Stephen enjoys fishing, hunting, cooking and traveling. 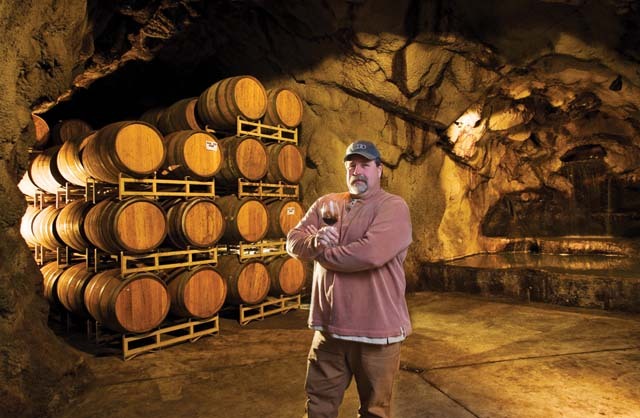 His civic and trade accomplishments further support his constant commitment to developing Ironstone Vineyards as the standard for the Sierra Foothills community.